Spotted via Moz and posted on Google+, Google is testing a new ad format for Google Play movie downloads. 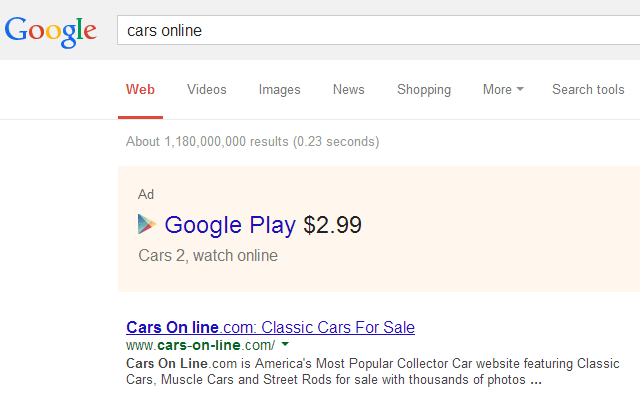 Here is a search for [cars online], a very competitive search term, showing this new Google Play movie download where you can "watch online" the movie Cars 2. To me, this ad format looks pretty ugly. Maybe it is the way the Google Play logo is stuck in there?